쇠스트 - 쇠스트에 위치한 호스텔. 쇠스트의 지도, 쇠스트에 위치한 호스텔에 대한 사진 및 리뷰. 쇠스트에 호스텔, 저렴한 호텔, 아파트, 게스트 하우스, B & B를 찾고 계십니까? 쇠스트의 모든 최고의 가격은 kr.Dorms.com안에 있습니다. 매달 수천명의 여행자들이 이곳에서 예약을 진행하시듯이 고객님도 쇠스트의 저렴한 가격에의 호스텔을 안전하게 예약하실 수 있습니다. 웹사이트에 고객님이 원하시는 핫 트렌디 시내 주변의 호스텔을 쉽게 찾을 수 있으며, 대학가, 기차역, 공항, 모든 쇠스트의 관광명소에서 가까운 호스텔을 찾을 수 있습니다. Stayokay Soest is situated very centrally in the Netherlands and is very easy to get to by train or car. 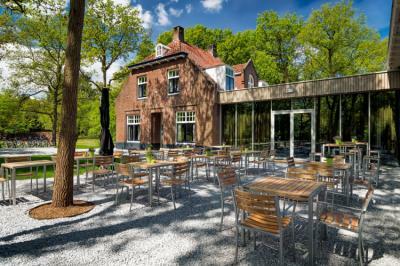 The hostel is located on the edge of woodlands close to the Soester dunes. You can choose any one of a number of options, e.g. hiking, outdoor activities, sports, meetings, cultural excursions or day trips to Utrecht or Amersfoort. Very nice location, tastefully decorated, lots of food options. Recommend for families and groups. Although the rooms are pretty basic, but this is a budget hostel and you get an excellent breakfast in the mornings. Nice outdoor areas, easy to rent a bike to go around.